Well, I finally found a program that is just perfect for Hummus and he will now be “going to school” just like his big brother and sister. The school is called “All Praise Our Blessed Little Lambs Preschool” and it is located in a church with some kind of weird and possibly immoral beliefs, but they were so eager to have me join their congregation that they were willing to overlook the fact that Hummus is a little tiny bit young and maybe not fully potty trained. “A few hours in a pair of uncomfortably wet and full underpants ought to train him right up,” is what Miss Sherrilynn, his new teacher said. I like the way she thinks! His first morning was this morning. Momma’s big guy! So proud. I took the opportunity to sign him up for extended day today, so I won’t have to get him until 5 PM. I had work to do! 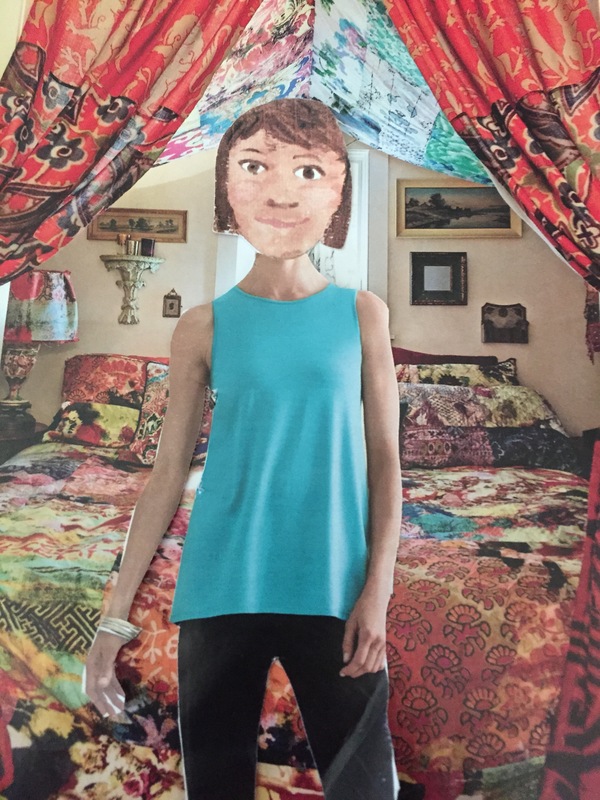 I moved Merlin out of his bedroom, into what we used to use as a utility room and set his old room up as a second guest bedroom and yoga retreat. Wallah. I needed something like this. I think Merlin will enjoy having a large wash sink in his room, but I did turn off the water to it so he doesn’t enjoy it too much. That kid! 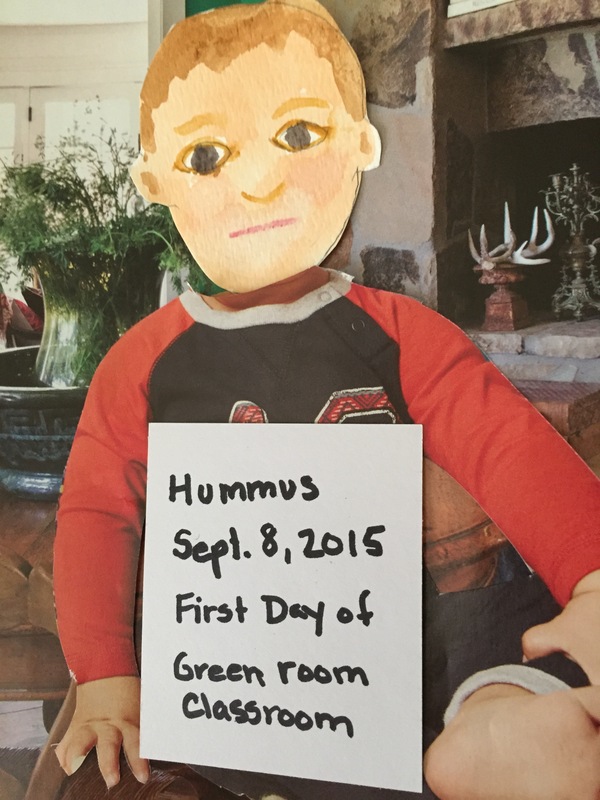 This entry was posted in School Time and tagged Hummus, Miss Sherrilyn, Our Blessed Little Lambs Preschool, yoga retreat on September 8, 2015 by mythreeangles. Gorgeous! You need one of those pretty shiny things on your forehead, a binder? Bindi? I forget what they’re called but they are so so pretty! That would totally round out the look. Your house is going to be so harmonically congruent it will make the whole neighborhood vibrate! And Human’s new teacher sounds like a marm after my own heart! I trained all my kids in 24 hours when they were 8 months old so I can’t really relate to the problems you are encountering due to your own sloppy parenting, but MY DEAR I am so glad you found someone to take Human in a firm hand! Perhaps he will even start talking! Maybe he will say Bible verses! Wouldnt’ that be cute? He could become the world’s youngest preacher! THE FIRE OF THE LORD MIGHT DESCEND UPON HIM! Ahhhhhhhhhhhhhh. That would be so amazing. TAKE THAT MONTESSORI! Can’t you ask your daughter what those are called? I should wear one because I am very spiritual. I am pretty sure that if Hummus was going to learn bible verses anywhere it would be at All Praise Our Blessed Little Lambs Preschool. Um, I don’t think you need to be spiritual to wear a bindi, I think it’s ok to wear one just any old time! Meghan? She is a pretty little thing isn’t she???!! She doesn’t need a bindi to be even more gorgeous. Did you make sure that that horrible Ho Renata doesn’t work there? Hummus doesn’t need to be traumatized anymore!!! Poor baby. This particular church doesn’t really hold with the idea of foreigners living in our community, so I am sure they will not be employing Renata. They do let a Mexican family clean for them, though. Lah Lee, Hummus looks like he needs a good manicure. His fingernails are looking a little…claw-like. You don’t want people wondering about your parenting skills, even though WE know your attention to personal appearance is beyond reproach. You wouldn’t want anyone thinking Röbert brought home a wild creature last time he went camping lol!